In my life so far, I have completed only two parachute jumps. The first as a fund-raiser for a friend and the second the day after the first, because I had enjoyed it so much. They were static line jumps from two thousand feet high, involving the classic process of pushing out of an open light aircraft door, arms and legs akimbo, yelling (or screaming) - "One thousand, two thousand, three thousand..... check canopeeeee....!" These jumps took place in 1986 and so the mists of time have mellowed my memory of them since then. However, I do recall that I felt more fear during the second jump than I did the first. Analysing this now, I make the assumption that the first jump was one of pure excitement and because I had never jumped before, I really had no fearful expectations apart from the possibility that my parachute might malfunction. The rest of the experience was purely an adrenalin fuelled moment, which I had longed to complete ever since I was a young boy. I loved flying. I had been an Air Force Cadet at secondary school and I took any opportunity I could to fly in the ancient Chipmunk aircraft on summer camps and regular unit trips down to the nearest RAF airfield. I also gained my Glider Pilot wings before I passed my driving test, flying solo at the age of sixteen. My solo flight lasted just over sixty seconds and earned me the right to volunteer at the RAF Gliding School every Saturday, with solo flying at the end of the day, for two years after. My first solo glider flight is worthy of a separate story in itself. So, by the time I found myself shuffling towards the gaping doorway in a Cessna aircraft, high above the quintessential rolling Herefordshire countryside, I was an avid aviator of sorts, who wondered what it would be like to hurl myself from an aircraft and drift down to earth under a silken canopy. I felt no fear, simply excited anticipation. The poor man who was sitting beside me on the cabin floor was weeping silently. Our relative perceptions of this mutual experience couldn't have been more different. The first jump itself was everything I had hoped for. The complete exhilaration of sitting in the open doorway, my legs dangling with nothing below them until the ground far below and then the command, "Go! ", followed by the few seconds of buffeting mayhem as the parachute snapped and cracked open and my body hanging motionless beneath the ochre canopy. These were the days before the 'square' canopies and the large round billowing mushroom above me spilled the air softly, just like the handkerchief parachutes I used to make for my plastic soldiers when I was a boy. What will remain with me in memorable crystal clarity for ever, is the silence. For the brief minute or so I was drifting earthwards, I was suspended in a solitudenous silence which, quite simply, took my breath away. It was one of those perfect moments of absolute awareness. It was probably the first time in my life where I was conscious of all that was occurring - around me, to me and for me. Less than two minutes after leaving the plane, I neared the ground and seconds later, I saw the hardened grassy surface of the airfield rushing to meet me. With a thud which extorted an unbidden, "Ooft!" from my lungs, I hit the ground and I executed what I thought to be a worthy parachute roll. The air in the canopy dissipated and it collapsed in a whispering rustle beside me. My first ever parachute jump was complete and I was elated! Imbued with confidence, back at the parachute club offices, I readily signed up for another jump the next day! Twenty four hours later and once again I'm sitting on the cabin floor of the Cessna aircraft and this time there isn't a weeping man beside me. Instead, it's me who was feeling the nerves. With the naïve and excited anticipation no longer present, I was free to contemplate the possibilities of risk and failure. My stomach was tense and I was not enjoying the moment as much as I hoped I would. The moment of the jump arrived and instead of sheer exhilaration swamping my senses, I was agitated and matter of fact. I want the jump to be over. What I remember of that moment is fearing the landing. I looked forward to the moments of hanging silently beneath the billowing canopy but it was the final seconds and the rush to the ground which filled me with fear. Needless to say, everything was fine and the jump was effortless and enjoyable. Even my landing was not as I had feared, though I do remember thumping onto the airfield as hard as the day before. 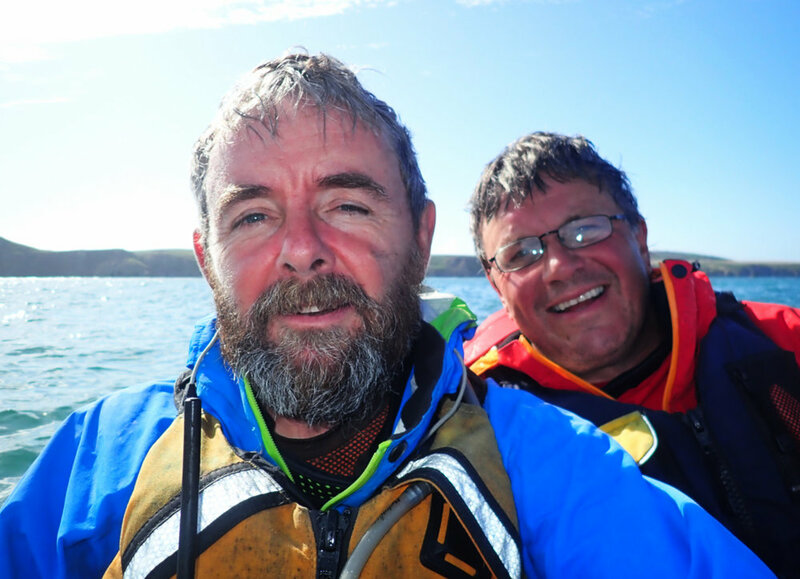 Now, in the present day, I'm about to embark on my third major sea kayaking fundraising trip and I'm feeling the nerves. There is no longer first expedition naivety to mask my concerns and I am finding myself dwelling on aspects of my forthcoming journey which require particular attention because of possible hazards and the risks involved. Similarly too, I am worrying about my overall ability to pull this venture off - to succeed in its purpose. 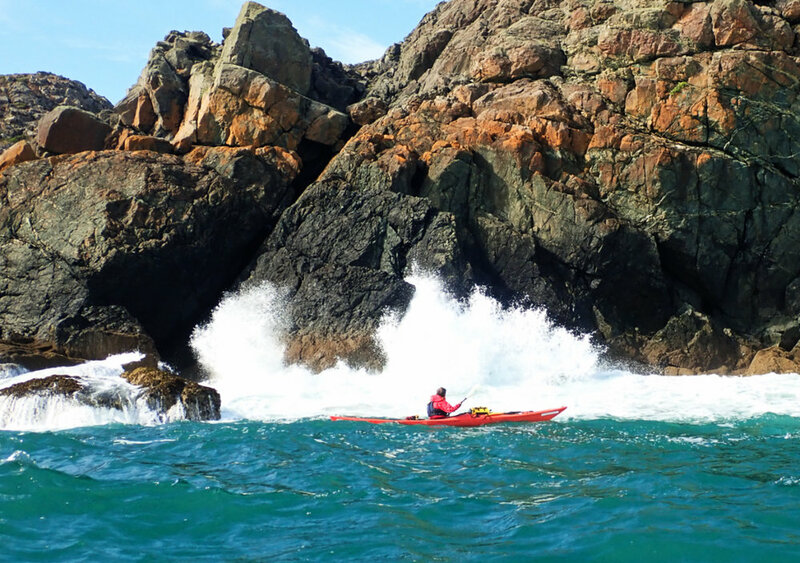 I worry that because I have been successful in past sea kayaking adventures, folks will have expectations of me doing so again and I have much to live up to. I realise that more than anything, I am expecting a lot of myself and it is actually myself who I don't want to disappoint. As the departure date for my journey draws closer, I am experiencing a sense of ground-rush, time concertinaing and the many important preparatory tasks rushing towards me. The memory of my parachute jumps thirty two years ago reveal themselves clearly in my mind and it is the memory of the ground-rush which I feared the most. What I realise though, is to hold onto the recollection of that incredible moment hanging in space under the parachute canopy, alone and in awe of the world around me and below me, enveloped in peace and serenity. For it is this experience of solitude, alone on the vastness of the ocean, which fills me with this peace I crave in my life. 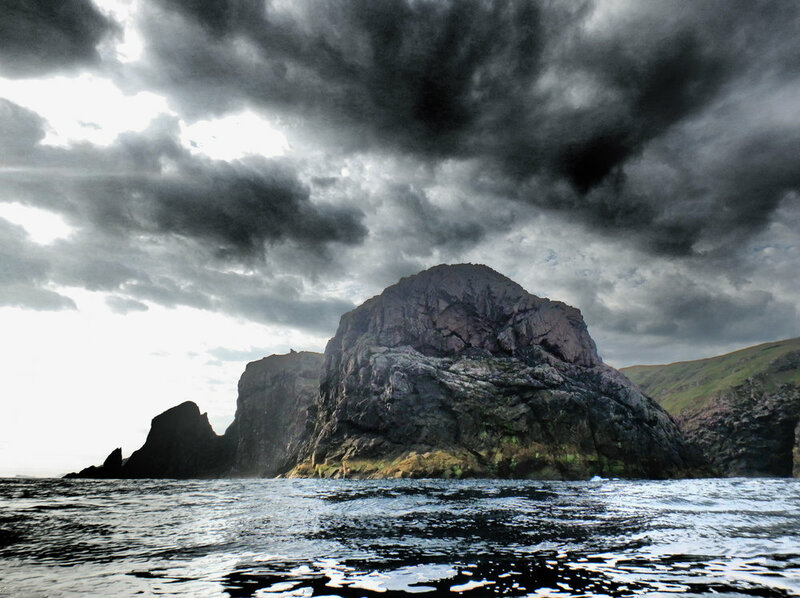 This is why I return to these journeys in my sea kayak, time and again. The senses of fear and the ground-rush of anxiety then, are merely distractions which serve to heighten my preparedness to safely enjoy my oceanic solitude. 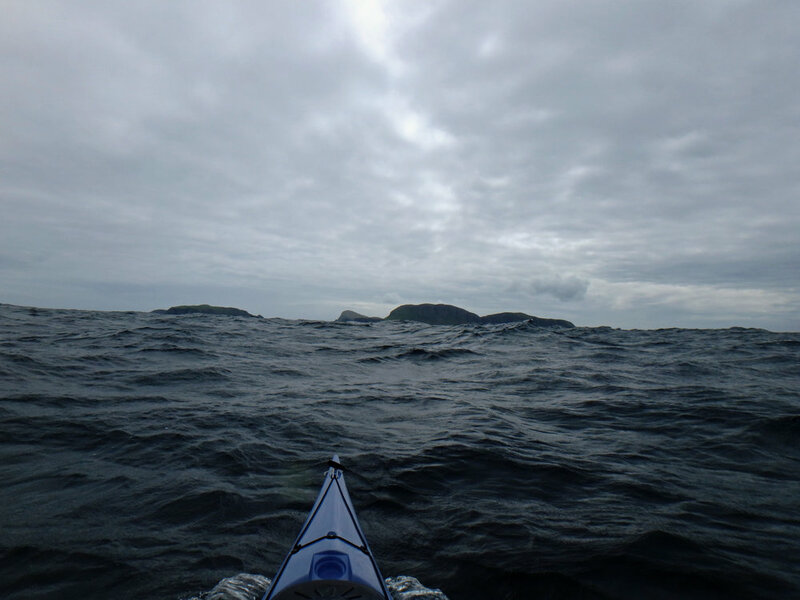 The moment I scrunch my kayak off the shore and into the sea on the 7th May, will be like the moment I'm dangled my legs out of the aircraft door for the second time all those years ago. All that awaits is the final push, and I'm away, encompassed in a world where anything is possible.